I just missed posting my kids’ artwork for several weeks or months now. 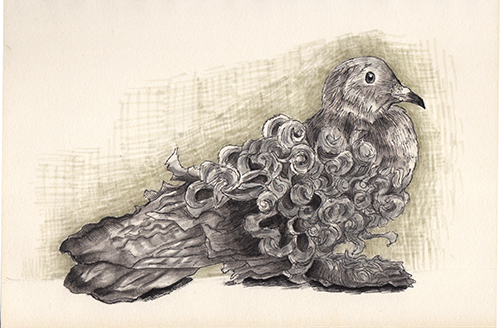 Today, I was browsing the desktop and found this cute drawing of a Frillback pigeon. N made a few more sketches of birds (that’s why I call it the bird series 🙂 ) and hope to post the rest of the drawings here. She used Faber Castell Pitt Artist Pens to create this one. This entry was posted in Art, Artwork and tagged bird drawing series, drawing, faber castell pitt artist pens, frillback pigeon, sketch on August 10, 2016 by Yami.